IM Valeri Lilov was born on July 9th, 1991 in Varna, Bulgaria. At the age of three, he was already able to read. In the same year, his mother started teaching him German. Still, one of the things Valeri most appreciates about his parents’ efforts to bring him up is that his father taught him the rules of chess, when he was only three, thus giving him the opportunity to become a nationally recognized chess player at such a young age. Since then, Valeri has been seriously involved with chess, which gradually turned into an important part of his life in the years to come. At the age of 6 years and a half, Valeri played for the first time in a real chess tournament among other strong players under the age of fourteen. Then, he took the respectable second place. At the age of seven, Valeri was able to play blindfold chess on several boards simultaneously. A year later, he managed to boost his ELO rating to 1985, which was a record-breaking achievement for an eight-year-old kid in his native country of Bulgaria. In the following years, Valeri became the national chess champion in all age groups including U10, U12, U14, U16, U18, and U20 and that achievement brought him numerous medals and distinctions that encouraged him even more in his quest of becoming a master. In the year of 2000, Valeri became the European Individual School Chess Champion U10 scoring 6.5 out of 7.0 points in this annual international event held in Moscow, Russia. Today, IM Valeri Lilov is the proud owner of over thirty cups and medals from national and international tournaments. In 2005, Valeri made another interesting personal record by achieving thirty-two wins in a row from national championships and prestigious competitions around the country, which included two magnificent victories in simultaneous exhibitions against the top Bulgarian grandmasters, Veselin Topalov and Kiril Georgiev. In 2007, the former President of the Republic of Bulgaria, Georgi Parvanov, officially awarded Valeri Lilov with a one-year scholarship in recognition of his achievements in chess through the years. At the end of the same year, in one of the most popular chess servers, Playchess.com, Valeri claims to have made yet another significant personal record when he defeated one of the strongest computer chess engines in the world, Hiarcs 11.1, in a bullet chess match with a total score of 4 wins vs. 3 losses. Around that time, he also managed to win a 4+1 blitz game against the strongest chess player of all times, Garry Kasparov, who supposedly plays under the nickname of 'Raffael' on Playchess.com. 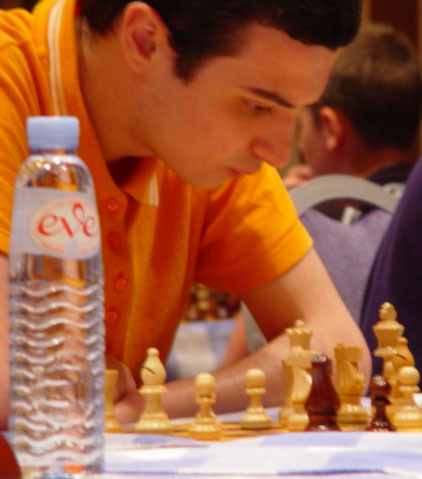 In 2008, Valeri Lilov achieved his top FIDE rating of 2443 and in 2013 the title of International Master. Currently, Valeri works mostly as chess trainer. He is now employed as part-time lecturer for five of the most popular chess giants on the internet, including ChessBase, ICC, Chess.com, ChessLecture.com, and ChessCube.com, while receiving countless offers to comment international opens, train whole national teams, and help anyone who wants to improve in the ancient game and take their chess to the next level. In January, 2010, Valeri Lilov was officially invited to the ChessBase headquarters in Hamburg, Germany to record his first two DVDs on the Sicilian Kan and Queen’s Gambit Accepted. This marked the beginning of a long collaboration between ChessBase and IM Valeri Lilov which ultimately resulted in over 14 DVDs being produced and a number of other instructive chess training materials being distributed to the countless chess enthusiasts around the globe. There is a great diversity among Valeri’s regular private students with some of them being already international masters and national champions. His students are pleased with their fast improvement after taking only a few of his highly personalized and interactive chess lessons. Besides working as chess tutor, Valeri also excels as promising chess journalist and commentator. IM Valeri Lilov has become a chess prodigy and one of the most successful chess coaches over the internet thanks to his father, Valeri P. Lilov, a chemistry teacher and a strong chess master himself, who has served as his personal mentor since early childhood.